Isn't this sewwwww lovely i love Basketkases old cars and trucks **You really must try one Thanks for LQQKING!!!!! I like your old car ! Beautiful work ! Lookin good in this neighborhood Carolyn! 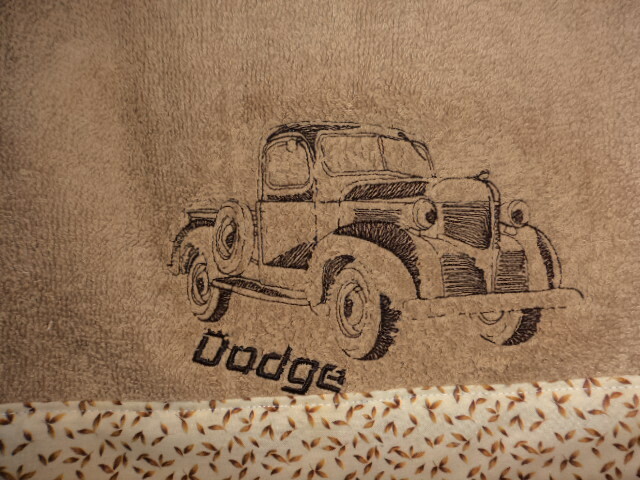 Love these old cars designs!! !So Gorgeous...Well done!! 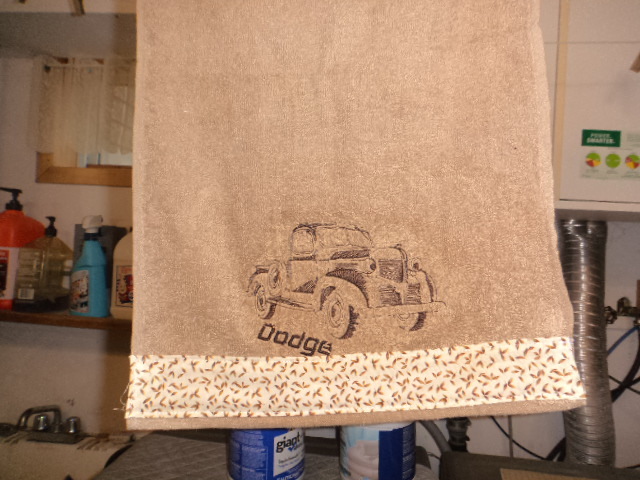 Love the mono on mono look, Carolyn and the border on your towel adds a great touch......great job! These are awesome. Where in her designs do I find these my cousin would love this. That's a great stitchout on that towel! The design really has an old feel to it and very realistic. I might have to do one for my husband.